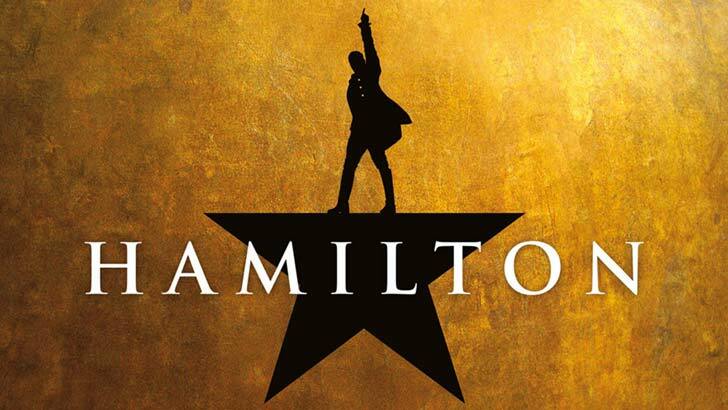 The producers of HAMILTON are determined to combat the unauthorised profiteering by third party resellers and ticket touts and to protect patrons from having to pay highly-inflated prices. Therefore, Delfont Mackintosh Theatres are operating a new paperless ticketing system, HAMILTON Paperless Ticketing, powered by Ticketmaster. No traditional tickets will be issued in advance. The payment card you use to originally purchase your tickets will gain you admission to the theatre on the night. Upon arrival at the theatre, patrons will be required to present their original email confirmation, their original payment card and a Government-issued photo ID such as a driving license or passport as proof of ID. The cardholder must be present and attend the performance. The theatre will then swipe the patron's card to produce seat location slips which gain them and their party admittance into the auditorium. All members of the party should enter the theatre at the same time. Once you have entered the theatre you will not be able to leave the building and re-enter and you must arrive with your full party. If required there are toilet facilities available in Victoria Station and a number of restaurants located close to the theatre. There is a licensed bar and toilets on every level of the theatre. There is a cloakroom at the theatre located to the right of the main entrance in the theatre foyer. However we are only able to store a limited amount of coats and small bags so we request that you arrange to leave folding bicycles, suitcases and large bags elsewhere before your visit. There is luggage storage available at Victoria Train Station. For your comfort and security, you will be subject to additional checks on your visit - we appreciate your patience and understanding while these are taking place. Please arrive at the theatre one hour before the performance to allow time for these security checks to take place, latecomers will not be admitted until a suitable break in the performance. Delfont Mackintosh Theatres uncompromisingly prioritises the safety of its staff and visitors to all of its venues. With the recent surge in terrorism, we are aware that the threats facing venues such as ours are evolving and often unpredictable. We have therefore engaged the expertise of Global Support Services (GSS), a specialist canine services provider, to deploy explosive detection dog teams at our theatre. Their teams will be responsible for searching our venue and our audiences as they enter the venue prior to each show, daily. Their teams have vast experience working with venues similar to ours and will seek at all times to be both reassuring and unintrusive. They have provided us with some guidance on our behaviours around their dogs whilst they are working. Hospitality tickets for HAMILTON are available exclusively through Delfont Mackintosh Theatres.